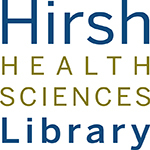 Currently viewing the tag: "Interlibrary Loan"
The Hirsh Health Sciences Library is pretty jam-packed with resources, available both electronically and in print. But what do you do when you need something that we just don’t have? 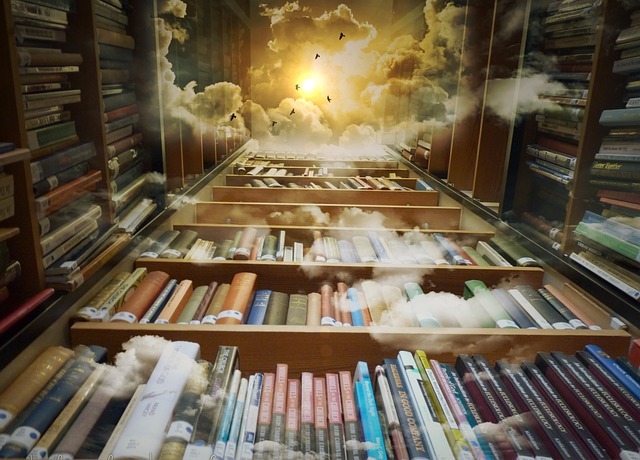 ILLiad, our interlibrary loan service, is here to help! ILLiad is a great way to order article PDFs, book chapter PDFs, whole books, patents, theses, dvds, sheet music, and more. 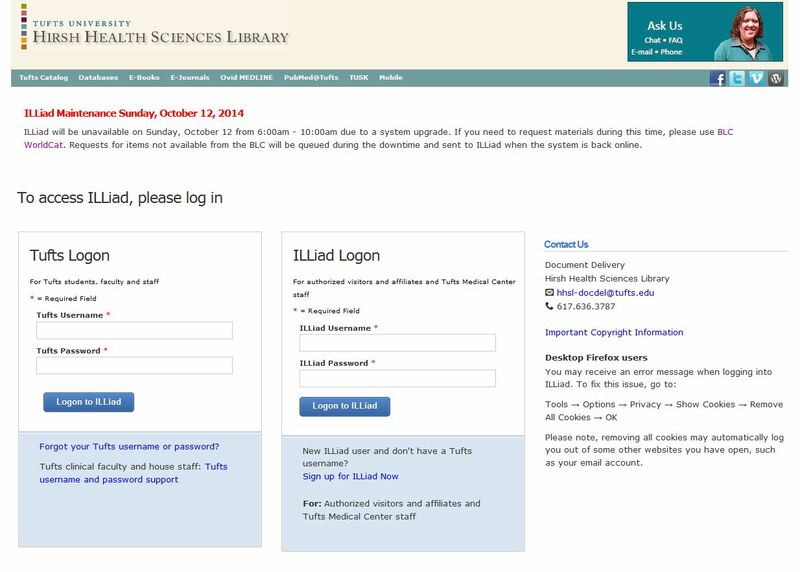 Just log into ILLiad using your Tufts username and password or create a username and password if you are not issued university credentials, for example, if you are Tufts Medical Center staff. 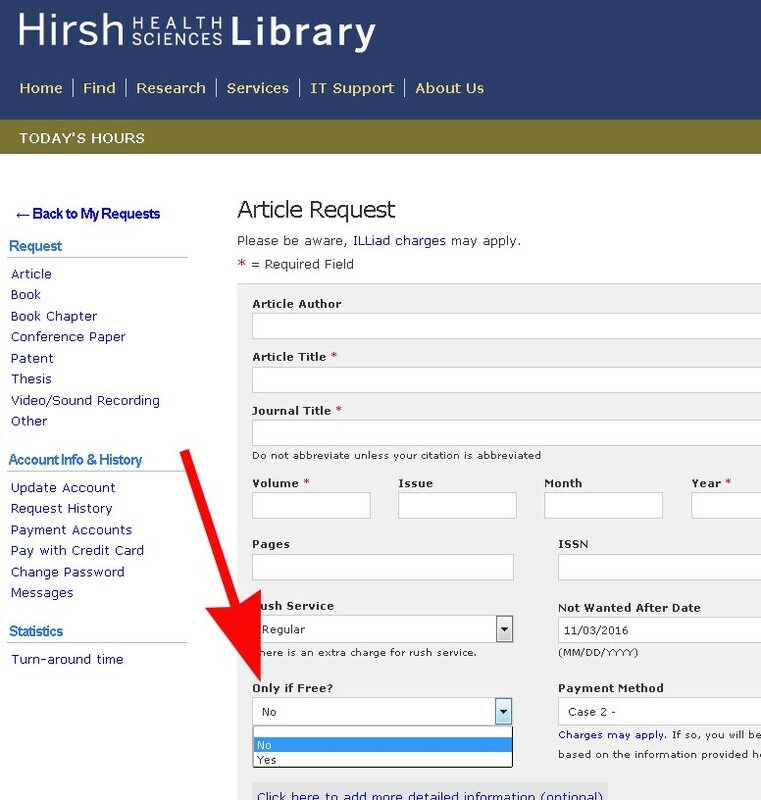 The first time you log in, you’ll fill out a quick registration form and then you can start using our online request forms to submit your orders. 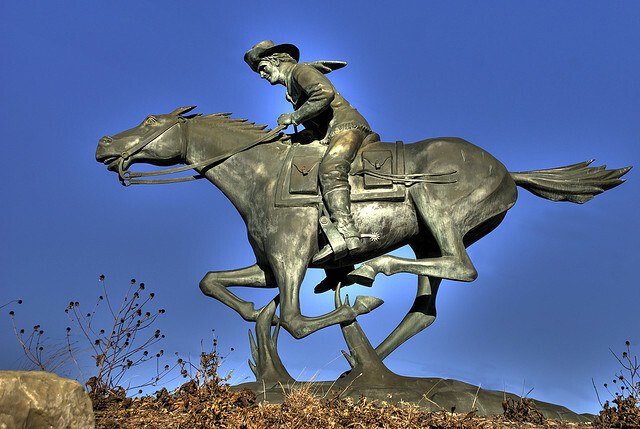 PDFs of articles and book chapters typically arrive in three days or less and can be downloaded from your ILLiad account. 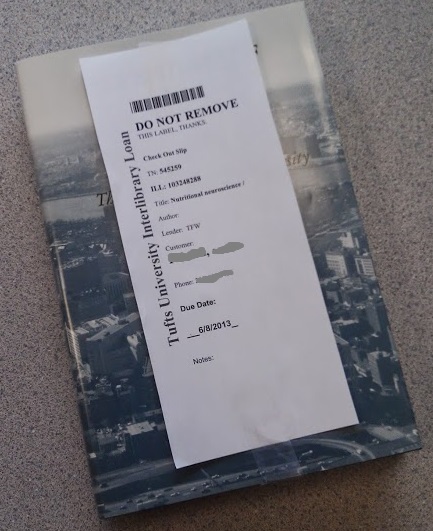 Books and other hard copies are picked up/returned to the Library Service Desk on Sackler 4. 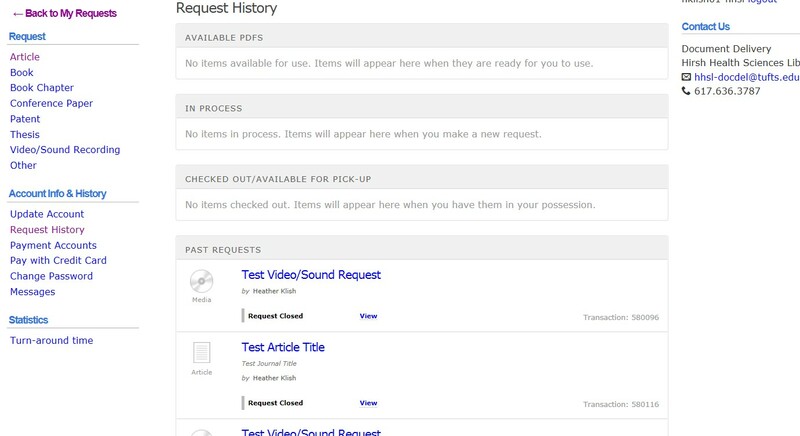 You’ll receive email notification when your items are accessible. 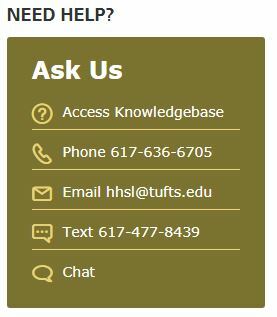 Students get 20 free requests per year. 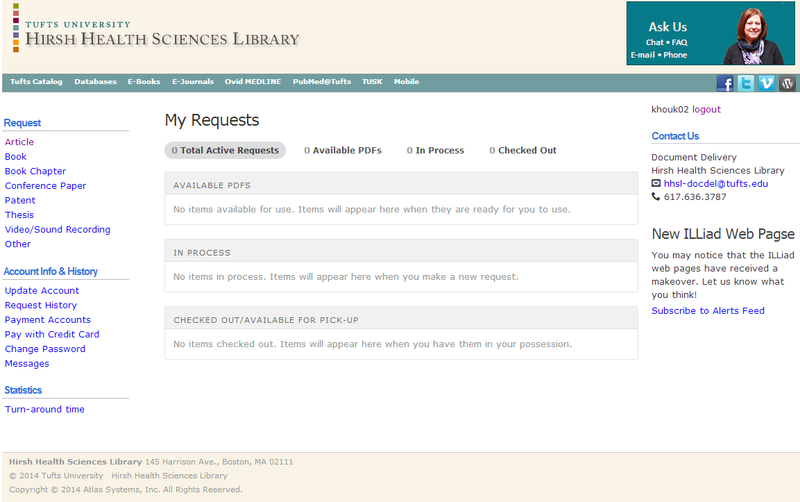 In addition, there are lots of requests that we never charge for, such as requests for scanned items from our own collection, items shipped from another Tufts library or a Boston Library Consortium member library, or if you require accommodations due to special circumstances. Please see our ILLiad Policies and Procedures page for more information about fees and other aspects of this service. 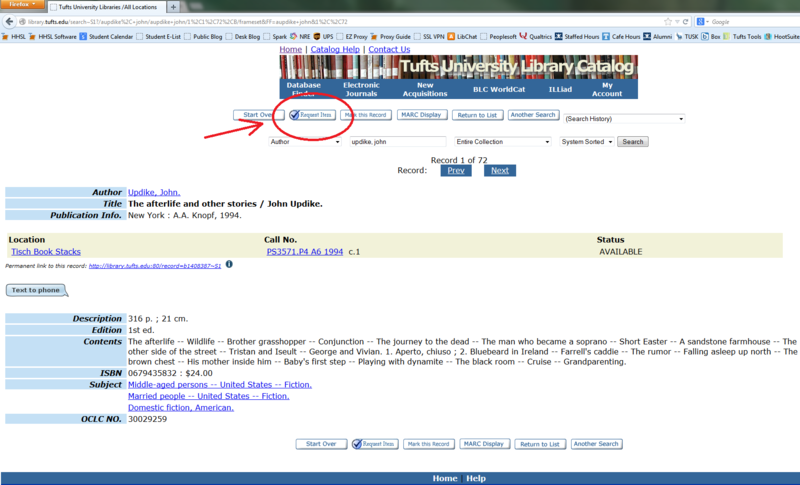 You can also request items from other Tufts Libraries be shipped to the Hirsh Health Sciences Library using JumboSearch. That services is always free and just requires you log into your JumboSearch account.